Also serving communities of Summerhill, Sidman, Saint Michael, Nanty Glo. There are 10 Assisted Living Facilities in the Portage area, with 2 in Portage and 8 nearby. To help you with your search, browse the 3 reviews below for assisted living facilities in Portage. On average, consumers rate assisted living in Portage 3.0 out of 5 stars. Better rated regions include Lilly with an average rating of 5.0 out of 5 stars. Caring.com has helped thousands of families find high-quality senior care. To speak with one of our Family Advisors about assisted living options and costs in Portage, call (855) 863-8283. Rose of Sharon Home, Inc.
Portage, Pennsylvania is located in Cambria County about two hours from Pittsburgh. Portage is surrounded by tranquil forestland, and senior residents drawn to Portage’s natural beauty will also enjoy the variety of assisted living options. Portage has a population of 2,601 people, approximately 20 percent of whom are age 65+. There is one senior center and two assisted living facilities in Portage, and there are 32 other facilities nearby. Assisted living facilities in Portage, and all of Pennsylvania, are licensed by the Department of Aging. Portage's cost of living score is 80.3 out of 100, compared to Pittsburgh’s score of 94.2. The cost of housing is the biggest factor: Portage is rated at 33, whereas Pittsburgh is rated at 74. Portage has limited public transportation, which may inconvenience seniors who do not drive. The public transportation authority offers Reserve-a-Ride services as well as some fixed routes, but these services are spread thinly around Cambria County. Cambria County is home to numerous historic locations from America’s Industrial Age. Some assisted living communities may offer day trips to attractions like the Johnstown Flood Museum, The Southern Alleghenies Museum of Art, the Allegheny Portage Railroad historical site or one of the seasonal festivals that occur annually in Cambria County. Portage has all four seasons, with mildly snowy winters, rainy spring and fall and warm summers. Winters in Portage tend to be cold. Temperatures can dip down to 20°F, making it harder to enjoy the outdoors, and it can be difficult for seniors who are affected by extreme temperatures. The summers average 70°F and can get up to 79° in the late summer. Portage has few facilities from which to choose in the event of a medical emergency or illness, with the nearest major hospital located in Johnstown. Cambria County has an array of community resources for seniors, including the Portage Senior Center, an organization that provides a range of services and activities that promote senior residents’ wellbeing. Assisted Living costs in Portage start around $0 per month on average, while the nationwide average cost of assisted living is $4,000 per month, according to the latest figures from Genworth’s Cost of Care Survey. It’s important to note that assisted living rates in Portage and the surrounding suburbs can vary widely based on factors such as location, the level of care needed, apartment size and the types of amenities offered at each community. 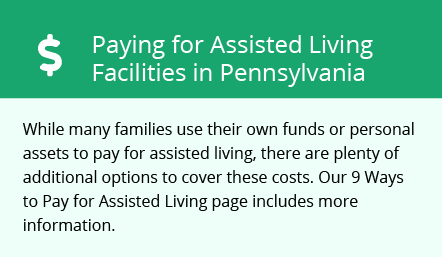 Pennsylvania does not offer Medicaid-funded assistance to residents in assisted living facilities. Portage and the surrounding area are home to numerous government agencies and non-profit organizations offering help for seniors searching for or currently residing in an assisted living community. These organizations can also provide assistance in a number of other eldercare services such as geriatric care management, elder law advice, estate planning, finding home care and health and wellness programs. To see a list of free assisted living resources in Portage, please visit our Assisted Living in Pennsylvania page. Portage-area assisted living communities must adhere to the comprehensive set of state laws and regulations that all assisted living communities in Pennsylvania are required to follow. Visit our Assisted Living in Pennsylvania page for more information about these laws.